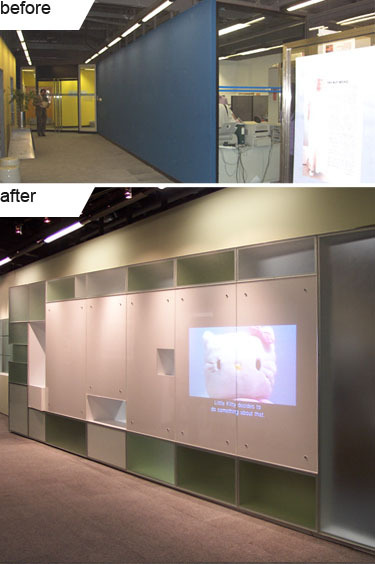 Documented below is the redesign and remodeling of School of Creative Media in City University of Hong Kong in 2002. The goal was to unify its physical space with its website, creating a multi-channel system for the display of student works and dissemination of information. 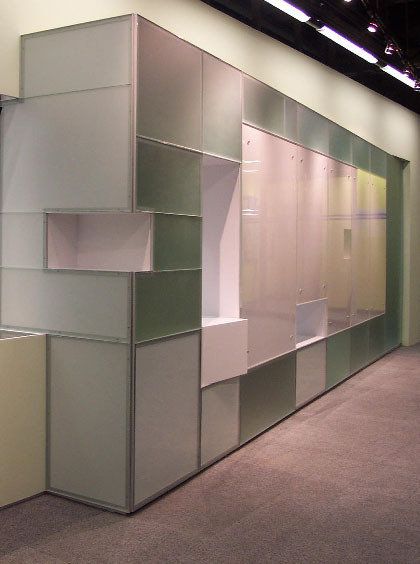 The hall way was transformed into a video wall, as well as storage spaces that creates layers and transparency for an office that was divided in isolated pockets.